It is summer time and I am seeing a lot of pregnant women walking around. Maybe it is just because people are less clothed, but I always see so many more pregnant women in the summertime than other times of year. In honor of all the summer babies I am having a sale on all my animal lovey patterns this week on my Craftsy store (affiliate link). 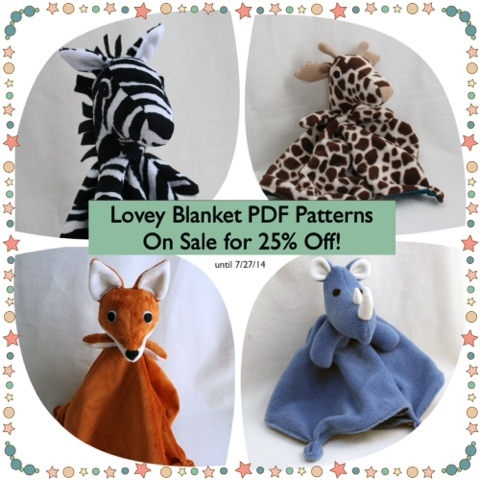 Loveys are a perfect baby shower gift -- every baby needs a lovey friend to cuddle with at night! They are easier to make than you might think and only take a couple hours to sew. 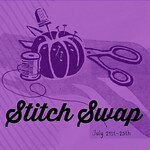 Also this week I am participating in Stitch Swap - a fun event where bloggers are assigned another blogger, secret santa style, to whom they send a yard of fabric. 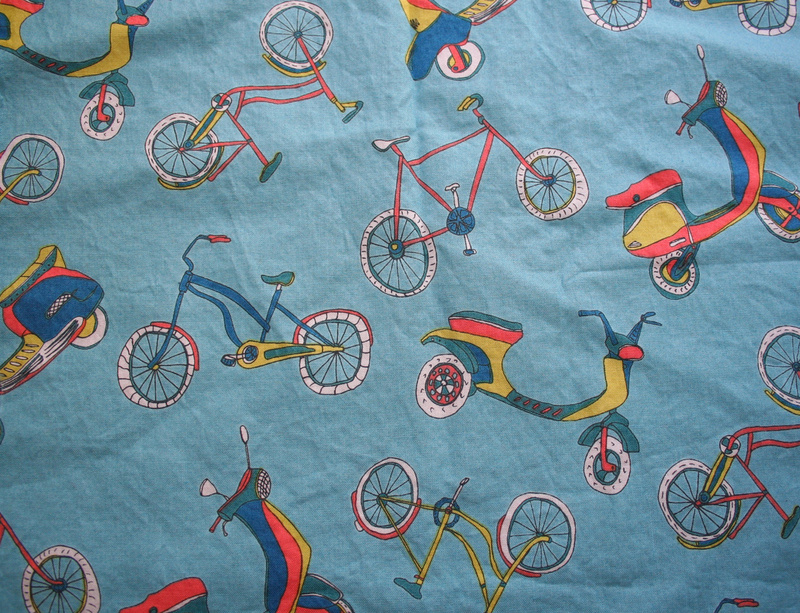 The recipient sews up something with the fabric they have received and blogs about it. I wanted to participate because I always love getting surprises in the mail and I liked the idea of being challenged to sew something with a fabric that I might not have necessarily picked out myself. So from my partner I got this cool Velocity print in blue, which I found for sale here, in case you want some too.